Jews who accept Jesus Christ (Yeshua) as the Messiah are members of the Messianic Judaism movement. They seek to retain their Jewish heritage and follow a Jewish lifestyle, while at the same time embracing Christian theology. Messianic Jews are estimated to number 1 million worldwide, with more than 200,000 in the United States. Some Messianic Jews argue that Jesus' apostles were the first Jews to accept him as Messiah. In modern times, the movement traces its roots to Great Britain in the mid 19th century. The Hebrew Christian Alliance and Prayer Union of Great Britain was founded in 1866 for Jews who wanted to keep their Jewish customs but take on Christian theology. The Messianic Jewish Alliance of America (MJAA), started in 1915, was the first major U.S. group. Jews for Jesus, now the largest and most prominent of the Messianic Jewish organizations in the U.S., was founded in California in 1973. Dr. C. Schwartz, Joseph Rabinowitz, Rabbi Isaac Lichtenstein, Ernest Lloyd, Sid Roth, Moishe Rosen. Messianic Jews are spread across the world, with large numbers in the United States and Great Britain, as well as in Europe, Latin and South America, and Africa. No single group governs Messianic Jews. More than 165 independent Messianic Judaism congregations exist worldwide, not counting ministries and fellowships. Some of the associations include Messianic Jewish Alliance of America, International Alliance of Messianic Congregations and Synagogues, Union of Messianic Jewish Congregations, and Fellowship of Messianic Jewish Congregations. 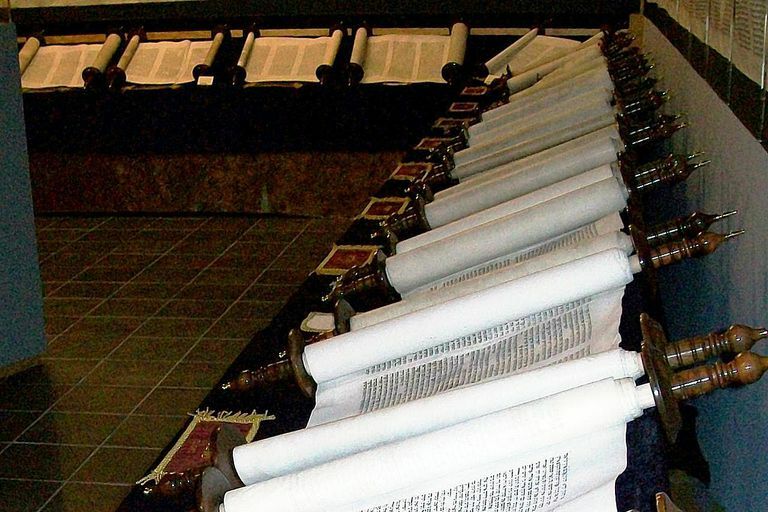 The Hebrew Bible (Tanakh) and the New Testament (B'rit Chadasha). Mortimer Adler, Moishe Rosen, Henri Bergson, Benjamin Disraeli, Robert Novak, Jay Sekulow, Edith Stein. Messianic Jews accept Yeshua (Jesus of Nazareth) as the Messiah promised in the Old Testament. They observe the Sabbath on Saturday, along with traditional Jewish holy days, such as Passover and Sukkot. Messianic Jews hold many beliefs in common with evangelical Christians, such as the virgin birth, atonement, the Trinity, inerrancy of the Bible, and the resurrection. Many Messianic Jews are charismatic and speak in tongues. Messianic Jews baptize people who are of the age of accountability (able to accept Yeshua as Messiah). Baptism is by immersion. They practice Jewish rituals, such as bar mitzvah for sons and bat mitzvah for daughters, say kaddish for the deceased, and chant the Torah in Hebrew at worship services. To learn more about what Messianic Jews believe, visit Messianic Jews' Beliefs and Practices.